Home STOCKS Stocks Under $1.00 MassRoots (MSRT) $0.15, Funny, But Well, Not (EquityGuru). MassRoots (MSRT) $0.15, Funny, But Well, Not (EquityGuru). In 2000 – a boozy writer-friend secured a $160,000-a-year job as the CEO of “an on-line information portal devoted to silk ties”. When we inquired how the website was going to make money, he admitted that he had “No f**king clue”. Three weeks later, investors got spooked and the company keeled over dead. A “user-driven social media platform for marijuana consumers,” MassRoots wants to be “Yelp for pot users” – which sounds promising until you consider that pot users could just use Yelp. But its financial model is, presumably, tied to notion that someone, somewhere, eventually, will want to cut a cheque made out to “MassRoots”. Financials released this week reveal heavy losses, shrinking sales and very little cash. During the first 6 months of the fiscal year, MassRoots lost $8.4 million on $3,700 in revenue. Twelve months ago, MassRoots lost $19 million on revenue of $277,600 for the same period. In 2017, MassRoots lost $44 million. Almost 50% of the 2017 loss was tied to stock-based compensation. At the end of June, 2018 MassRoots had only $15,950 in cash on hand. Previous articleAmazingly Practical & Affordable Cannabis Containers from Linked Equipment. Next articleBiome Grow Announces Conditional Approval for Listing on the Canadian Securities Exchange. Volume Alert: Tinley Beverage Co., (TNYBF) $0.56. 10-Fold Increase in Trading. The World’s Leading Great Tasting Cannabis Beverages. 2018 World’s Best Rum Awards. The Marijuana Stock Review a financial portal of aggregated or curated news, interviews and research reports on publicly traded Marijuana and Alcohol companies. Some people call them Sin Stocks. We call them Daily Staples. To have us review your company in print or television (Fox Business Network): Call or text 310-594-8062. 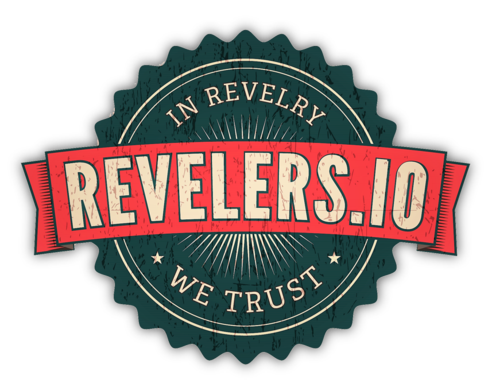 Site content from Institutional Analyst Inc. Website managed by Revelers.IO Media Group Inc.
© Copyright Revelers.IO Media Group Inc.